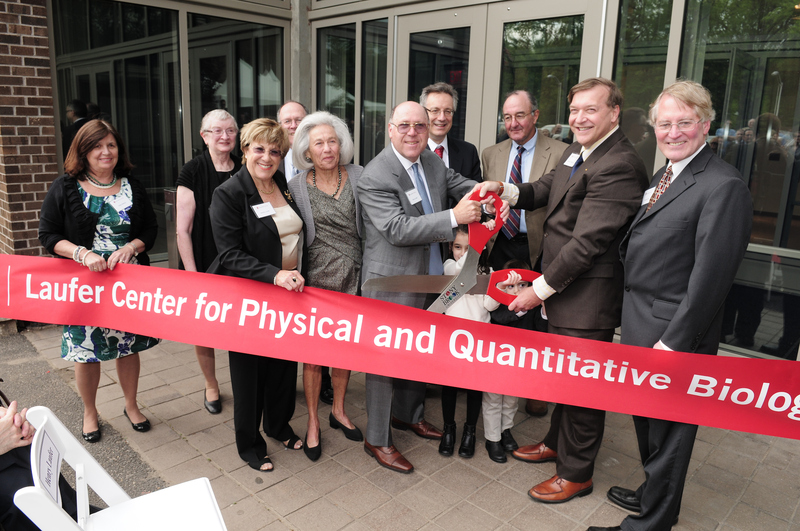 The new home of the Louis and Beatrice Laufer Center for Physical and Quantitative Biology at Stony Brook University was officially dedicated at a celebratory event on May 7. Nearly 40 extended members of the Laufer family from across the United States joined Stony Brook officials, researcher faculty and local elected representatives for the commemorative ceremony. The Laufer Center was designed by architect Jim Braddock of the New York City architectural firm of Mitchell-Giurgola. The Center houses a 73-seat teleconferencing auditorium, a Mediascape collaborative research station and an advanced GPU + CPU computing cluster that currently gives the Center the power of nearly 9,000 computer cores. “In addition to performing research, we train PhD students, mentor postdoctoral researchers and host regular scientific seminars from distinguished outside scientists,” said Center Director Ken A. Dill, a member of the National Academy of Sciences and a past president of the Biophysical Society. He is known internationally for his pioneering work on the physical forces that give rise to the structures and properties of protein molecules. Dill has dual faculty appointments at Stony Brook in the Department of Physics and Astronomy and the Department of Chemistry. The Center will house four to six research groups under Dill’s directorship along with Associate Director Carlos Simmerling, an associate professor in computational structural biology. 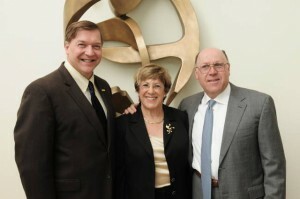 It serves as a core on Long Island of scientific and educational activity in computational and physical biology. The Center’s 13 affiliated faculty lead research groups from physics, mathematics, chemistry, computer science and biology at Stony Brook, as well as Brookhaven National Laboratory and Cold Spring Harbor Laboratory. 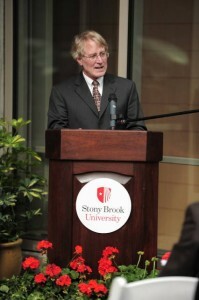 Read original story on Stony Brook Happenings.